For an event venue, potential customers have to see to believe it. So the basic job of a website is to make people feel like they’re actually there! The sprawling landscape behind this picture-perfect lodge and event space set the tone for this inviting and intuitive website. Rock Creek Lodge wanted to make a lasting impression with their new website—which started with stunning photography. The photos of the land and rental properties, taken by our team, took center stage in a clean site design that beatifully mimicked the look and feel of the serene, countryside destination. 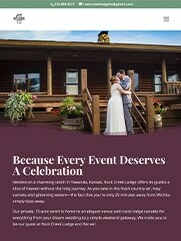 It was important for Rock Creek Lodge to establish themselves as a go-to wedding venue. Their old site was disorganized and didn’t position them in this way. So the new homepage and menu had to drive that home while still representing other usage occasions and rental opportunities. 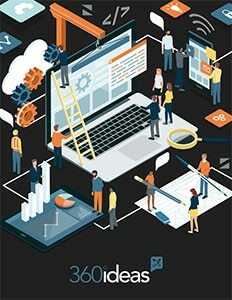 Now, organization and simplicity make it easy for customers to navigate the site and find key information, like pricing. There’s a clear decision-making path with strong calls-to-action on every page. 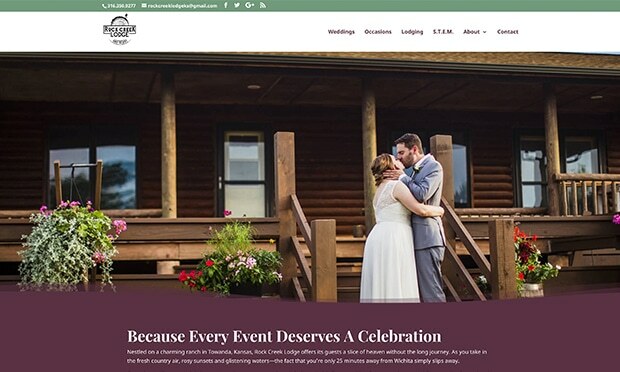 Rock Creek Lodge traded messiness for pure magic—and their website finally represents who they truly are as a event venue!